UPDATED: Thu., April 6, 2017, 11:33 p.m.
BOISE – Backers of a sweeping constitutional amendment on victims rights say they’ll be back next year, after an Idaho House committee rejected the amendment this year following days of emotional hearings. The proposed constitutional amendment passed the Senate unanimously, but died after hearings that stretched over three days in the House State Affairs Committee. 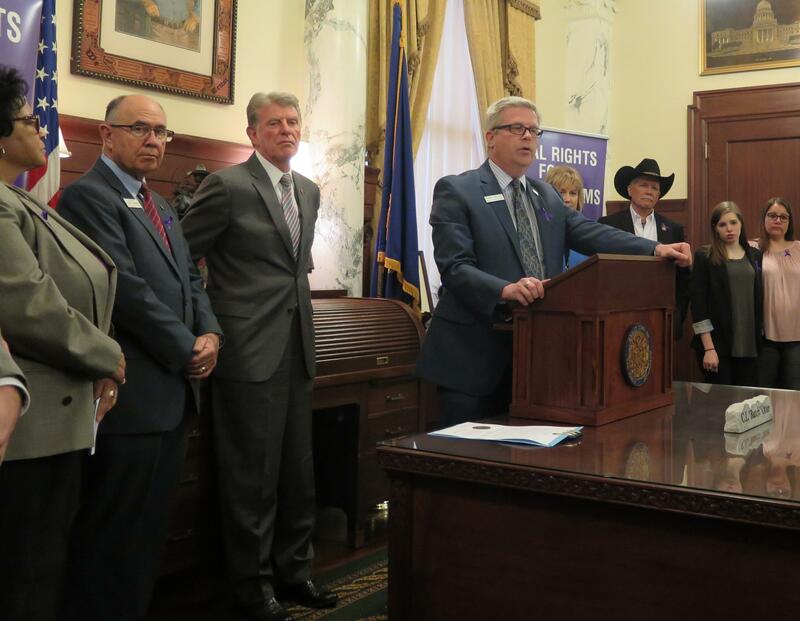 Lakey said a broad group of stakeholders, including the organization Marsy’s Law for Idaho, prosecutors, law enforcement and victim advocates, worked to craft the amendment, which would expand Idaho’s existing crime victim rights provisions. Those were added to the Idaho Constitution by voters in 1994. Marsy’s Law is the name for a California constitutional amendment enacted in 2008, named for a woman who was stalked and killed by her ex-boyfriend in 1983. A week later, the victim’s brother and mother, after visiting her grave, were confronted by the accused murderer in a grocery store; they hadn’t been notified that he’d been released on bail. That prompted the brother, Henry Nicholas, to form a foundation for victims rights and push for Marsy’s Law and similar provisions in other states. Illinois, Montana, North Dakota and South Dakota have since adopted similar laws. The Idaho Constitution already declares that victims of crime in Idaho have a series of rights, including the right “to be treated with fairness, respect, dignity and privacy throughout the criminal justice process” and rights to prior notification of criminal proceedings, to be present at all proceedings, to be heard upon request at sentencing or release hearings, to refuse contact with the defendant or the defendant’s agent unless authorized by law, and to read pre-sentence reports. Defense attorneys and the ACLU of Idaho were among those objecting to the bill during the House committee hearings this year. Crime victims, prosecutors and law enforcement representatives spoke in favor of it. Committee members had lots of questions and eventually defeated the measure on a 10-5 vote. Lakey said he hopes to work with House members next year to address their concerns. Sen. Cherie Buckner-Webb, D-Boise, spoke out Thursday in favor of the amendment and of the proclamation of Idaho Crime Victims Rights Week, saying everyone is touched by crime. Published: April 6, 2017, 11:10 a.m. Updated: April 6, 2017, 11:33 p.m.